This shows you the project's name, the client and subject assigned to it, among other things. This allows you to change the source langusge of the project, and to add or remove target languages. 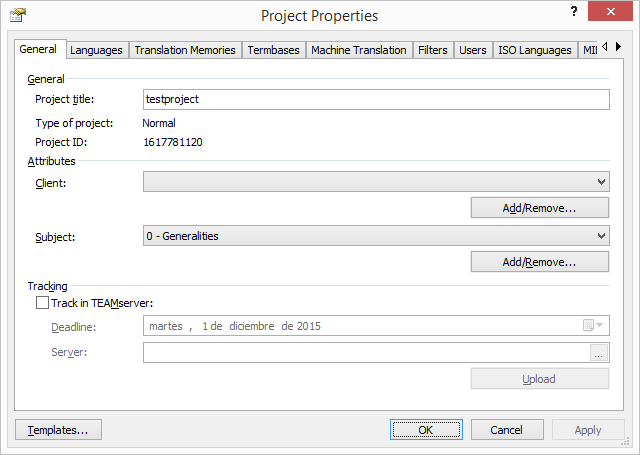 This allows you to attach Translation Memories to the project, and to check what Translation Memories are already attached. This allows you to attach Termbases to the project, and to check what Termbases are already attached. This allows you to configure an external Machine Translation provider to use within Déjà Vu. This allows you to view and modify the filter properties used in the current project. This allows you to use a simple project management system supported by the Workgroup edition of Déjà Vu. 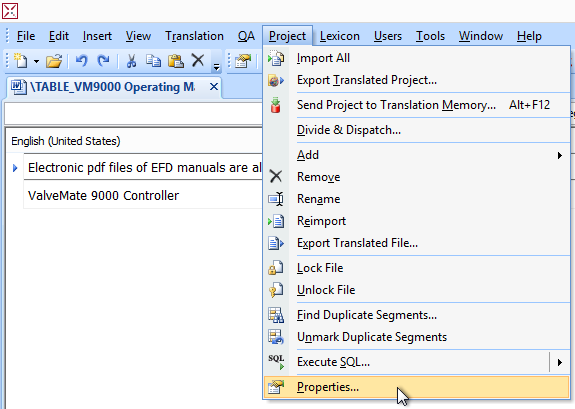 When importing a TMX, BIF, TTX or XLIFF file, Déjà Vu will recognize the languages that are present in the importable file but will prompt you to map each language code from the file to one of the languages that are defined within Déjà Vu. With this tab you can specify mappings of language codes to languages so that you will not need to do it manually when you import a file. When working with MIF files, it may be necessary to change the fonts for translations into languages that use a completely different font system from that of the source language (e.g., from English to Chinese, or from Japanese to German). This tab allows you to configure how fonts are mapped to one another when working with MIF files.